Appearance (0-20): Let’s get right to the point on this – it isn’t the prettiest stick I have ever seen. The light wrapper on the American Market shows a number of small blemishes and imperfections that make me a little wary off the bat. There’s nothing really to scoff at with the bands – simple black and gold adorn the cigar, sporting the title line of “Rocky Patel American Market”. Construction (0-20): For the most part, the stick feels pretty solid. 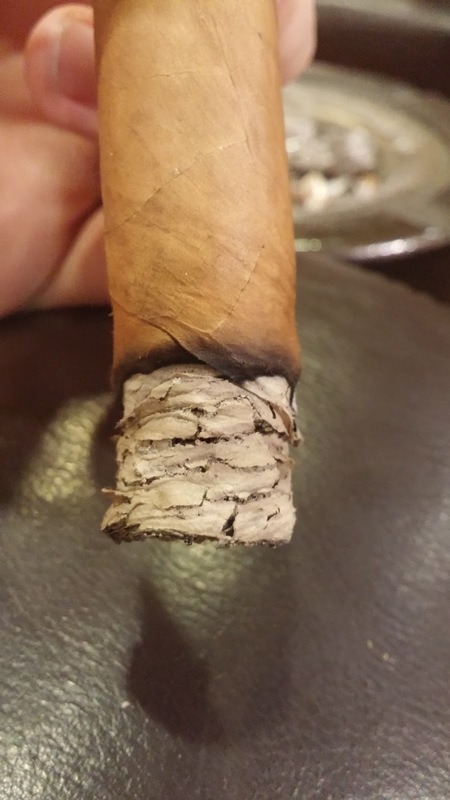 There is a small gap at one point most of the way into the cigar, but otherwise it’s pretty standard. The initial cut only revealed a small amount of debris, and the prelit draw was just a slight bit loose for my liking. Thankfully, post lighting the cigar retained its resistance and didn’t get any looser. Strength (0-20): This Patel is listed as a mild strength and it absolutely hits the nail right on the head – it’s mild through and through. Flavor (0-20): The flavors of this are pretty consistent throughout the entire stick, and doesn’t really get too complex. The baseline of it is earthy with a bit of toast. From time to time there are hints of cedar that intermingle rather well, with a small bite of pepper on the retrohale. 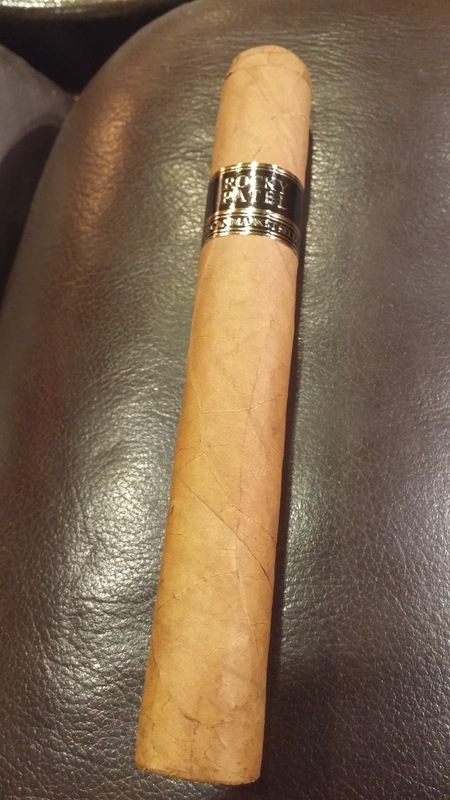 Value (0-20): A mild cigar, at $5.00 price point, seems to fit this one right. 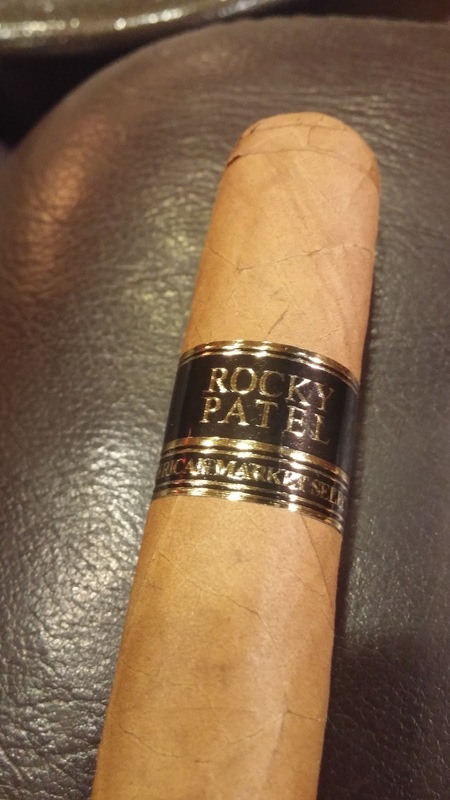 Overall (0-100): So the question we needed to answer is where this one would it fall in terms of comparisons to other Rocky Patel offerings. To be honest, it falls in the middling phase where it isn’t bad but it also isn’t great. 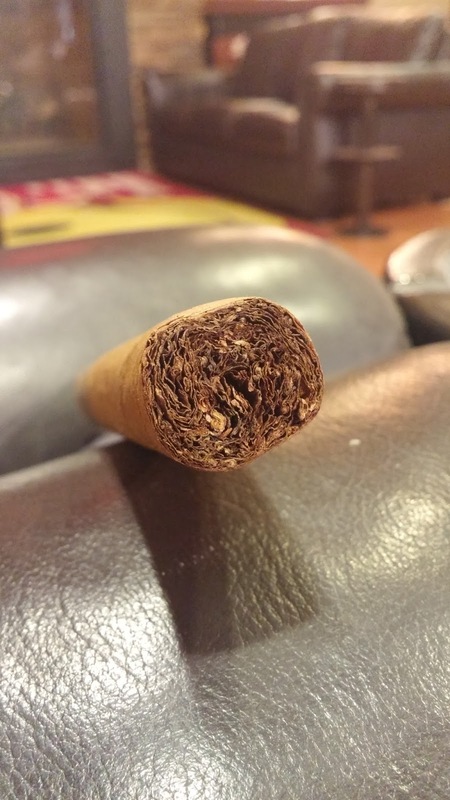 The price of the cigar, at a mere $5, is one that people will be happy to pick up and try. And for those out there that stick in the mild realm, the American Market will satisfy that need. While the appearance may give people some pause, the actual flavor behind it is solid enough to put this into the category of being a decent value buy. Earth, cedar, toast, and some pepper will play across the palate – but it wont get much more complex than that. Personally I veer toward things with more strength and complexity, but this one is a decent smoke for when you want to just relax and enjoy something easygoing. But Famous Smoke Shop has a decent, low price exclusive on their hands. It will definitely go well for a Sunday morning sort of cigar, along with a nice cup of coffee.